Photo by Cecilia Nguyen | The State Press Students walk by the fountain-turned-garden located near Orange St. and Cady Mall at ASU taken on Monday, March 28, 2017. "What are you doing after graduation?" is a question that can send any senior at ASU into a spiral of existential dread. Yet us seniors who are "still figuring it out" should pat ourselves on the back for solving a national problem — we're breaking the liberal bubble by remaining on our couches exactly where we are. When Bill Bishop’s The Big Sort dropped in 2008, America began to fret about the health of its communities. After all, Bishop’s central idea is that Americans have left anyone they disagree with behind, choosing to isolate themselves along ideological lines. Liberal voters have concentrated themselves in fewer and fewer cities, which is particularly dangerous to electoral politics due to the United State's voting system, thus creating the liberal bubble. As I have previously written, however, Arizona is amid a social transition, and letting obsessive reporting by papers in other cities affect views of our community is a terrible idea. The idea is simple: Attending ASU is actively helping to end the conservative bubble in Arizona. An era of somewhat extremist rule, epitomized by leaders like former Gov. Jan Brewer and former Maricopa County Sheriff Joe Arpaio, is coming to an end with a revitalization of Arizona’s left. If graduates elect to stay in town, they’re not supporting a nightmarish version of a liberal city that Douthat complains about, but rather are actively destroying one. 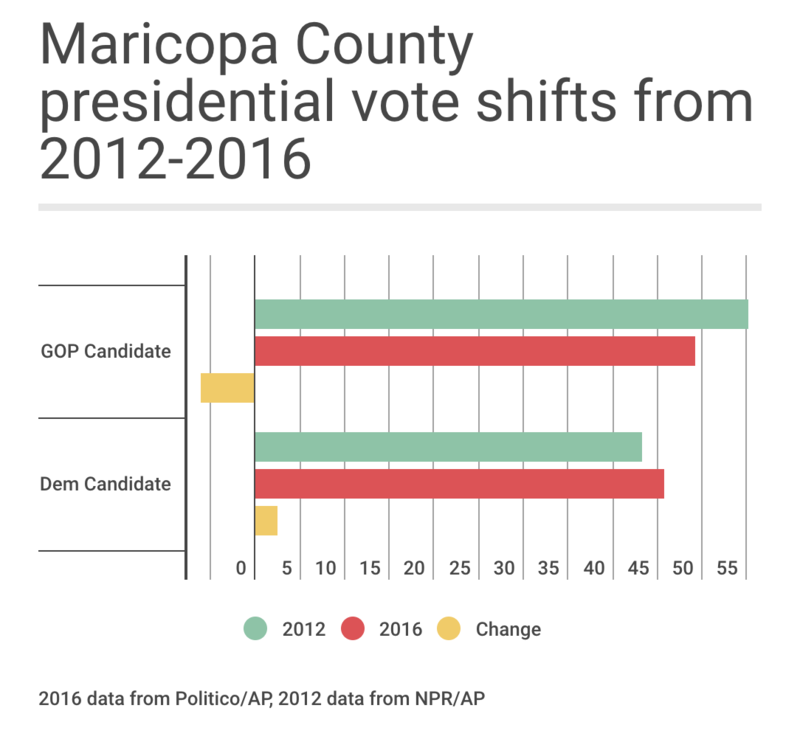 Regardless of Tempe and Phoenix’s reputation as a liberal bubble, a vote in Tempe actively changes Maricopa County, which remains the home to most of the state’s population. As a so-called primate city, meaning that it contains more than half the state’s population, Phoenix is able to distinctly control the state’s vote. Even with a significant jump in Democratic support and a reduction in GOP support during the 2016 presidential elections, the city remains more conservative than other metropolitan areas of the same size. Local news has been hollowed out, meaning that most news is written in cities like New York, L.A. and Washington. Basically, news has become nationalized and no longer represents local experiences. That kind of distortion actively harms students’ abilities to find places they can overcome ideological separation. Tempe City Councilmember Lauren Kuby, in particular, recognizes the power of ASU graduates in building a less divided Arizona. “This is the most exciting place you can be right now. This is where the fight is,” Kuby said. Choosing a university wasn’t about choosing a place to study. It was also about choosing a place to live and a community to integrate into. Earlier this semester, Arizona State Rep. Bob Thorpe of Flagstaff put forward legislation disparaging college students, going so far as to say that those living in a university are transient, and not at all part of the community. By choosing to fight against ideological separation and to continue building the community we experience during our time at ASU, we overcome that stigma. Moreover, we actively help to solve the problems of a divided America. And the best part is, graduates don’t even have to do anything to do something good.